The use of 1300 numbers is therefore ideal to businesses wishing to improve their image and marketing strategies in the regions that they are active in. The cost implications for customers in the local area makes this the ideal tool for the professional business that can use the free talk time to their advantage. 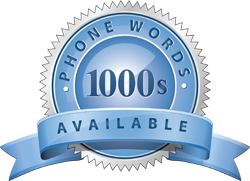 Using a 1300 smartnumbers can have the name of the business as part of their phone number and although most of the popular names have been sold there are still a few available from phone word companies that will lease these 1300 numbers to the business. The two options available to source these numbers are either direct via a Government auction or to lease them from the companies specialising in these number supplies. The disadvantage of this is that the 1300 numbers obtained this way will never belong to the company and could only be used while the lease is active. Selecting suitable 1300 numbers for a company is something that should receive a lot of thought and the more creative the word is, the better the results that the company will achieve. Selecting and deciding that this smartnumber system is going to benefit the company depends on a few considerations that will make this option viable. The size of the business must warrant the cost of the system and the future marketing plans for expansion is just some of the factors to consider. The importance of branding in the business must be part of the long term goals set out in the marketing strategy of the company. The cost factor of obtaining the right number can influence this decision considerable as most of the generic names have already been sold. This may make purchasing or leasing a number at a substantial cost when the name is in high demand in that industry.